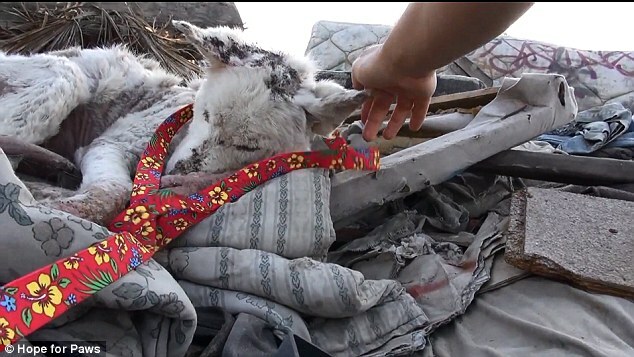 A dog who was discovered clinging to life on a pile of trash in a junk yard has been given a second chance by animal rescuers and made a stunning transformation. 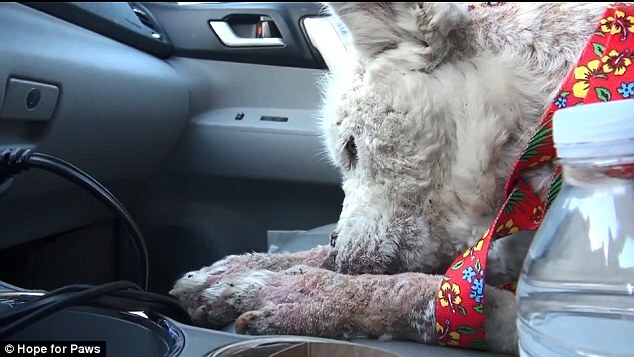 The female husky was weak and covered in painful-looking mange when Eldad Hagar from Hope For Paws found her in a Los Angeles garbage dump. 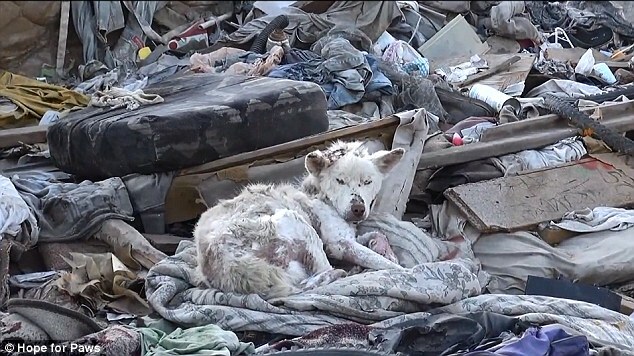 In a moving video, Hagar shows the resilience of a dog who was abandoned and likely abused and left to die on a pile of garbage. Hagar had received an urgent call about the dog, who he named Miley, and had been surviving on the trash-pile for months. Miley looked so defeated and broken by the time Hagar finds her, almost camouflaged by the rubbish surrounding her. Hagar told the Huffington Post that Miley was so lifeless that she ‘didn’t even have the energy’ to run away from him as he approached her. She gently accepted food proffered and meekly allowed Hagar to put a leash around her neck. He had to sit with her for an hour before she was finally ready to leave with him. 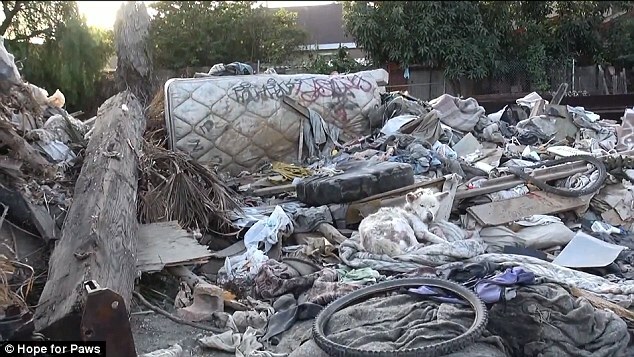 She creakily got to her feet and seemed reluctant to leave her pile of garbage, where she had been able to live for months without interference. 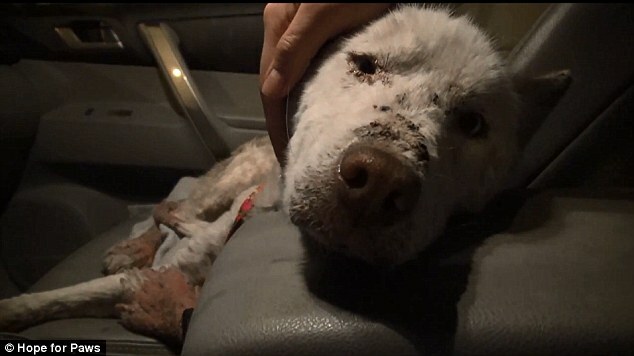 Eventually, she painfully hobbled away from the trash pile and Hagar got her into the car, where she curled up on the front seat, her red-raw paws under her head. When she arrived at the veterinary clinic, Miley was found to be suffering malnutrition, mange, parasites and bacterial infections. 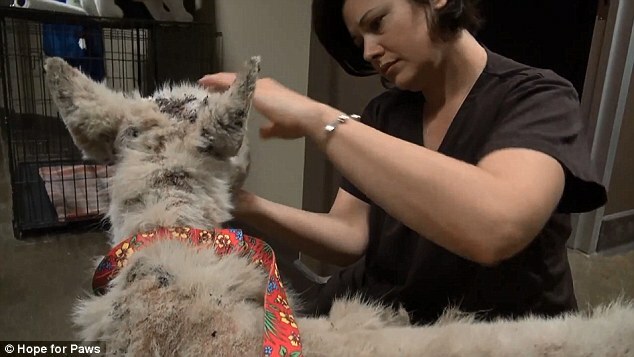 She needed medicated baths and treatments for her skin conditions, which slowly began to heal. As her body recovered, Miley’s spirit seemed to rally as well. 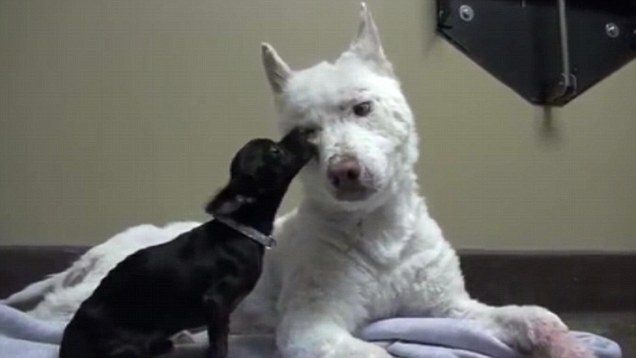 She displayed affection for Hagar, but the biggest surprise comes when she made the acquaintance of a tiny black chihuahua called Frankie. 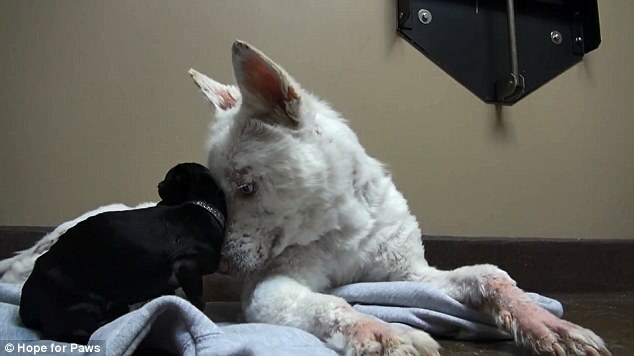 Frankie had been rescued from a drainpipe and was terrifed of everything – except blue-eyed Miley, who towered over him. Hagar told the Huffington Post that Frankie had nearly drowned in the sewer tunnel after a spell of heavy rain. The incongruous pair became inseparable. Hagar says Miley should be 100 per cent in a few months time, when Hope For Paws hopes she and her best friend will find a loving forever home. 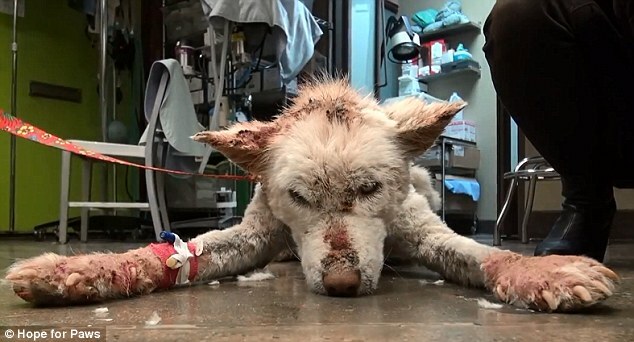 Contact Hope For Paws or the Fuzzy Foundation to help rescue Miley and other animals like her.